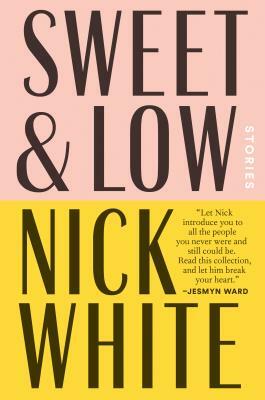 Join us at Book Culture on 112th for a conversation between Nick White and Dennis Norris II on the occasion of White's new collection of short stories, Sweet & Low,on Tuesday, June 5th at 7pm. Dennis Norris II is a 2017 MacDowell Colony Fellow, a 2016 Tin House Scholar, and a 2015 Kimbilio Fiction Fellow. They are the author of Awst Collection—Dennis Norris II published by Awst Press, and other writing appears in Apogee Journal and SmokeLong Quarterly. Their story, "Where Every Boy is Known and Loved" was recently named a Finalist for the 2018 Best Small Fictions Anthology, forthcoming from Braddock Avenue Books, and their story "Last Rites" appears in the collection "Everyday People: The Color of Life", forthcoming in August 2018 from the Atria Books imprint of Simon and Schuster. They currently serve as Fiction Editor at Apogee Journal, Assistant Fiction Editor at The Rumpus, and co-host of the popular podcast Food 4 Thot. You can find more information at their website: www.dennisnorrisii.com.